lately and I do not have the luxury of having air conditioning everywhere I go so I’m definitely trying to stay cool when I can. I am super excited that my parents and my brother Jonathan are visiting me very soon! They will fly out of Toronto on Thursday August 30th, arrive in Romania on Friday August 31st and then they will return home on Sunday September 9th, 2012. This will be a time when they will be able to see where I have been living for just over two years, here in Oradea where I serve with Pathway to Joy Ministries. 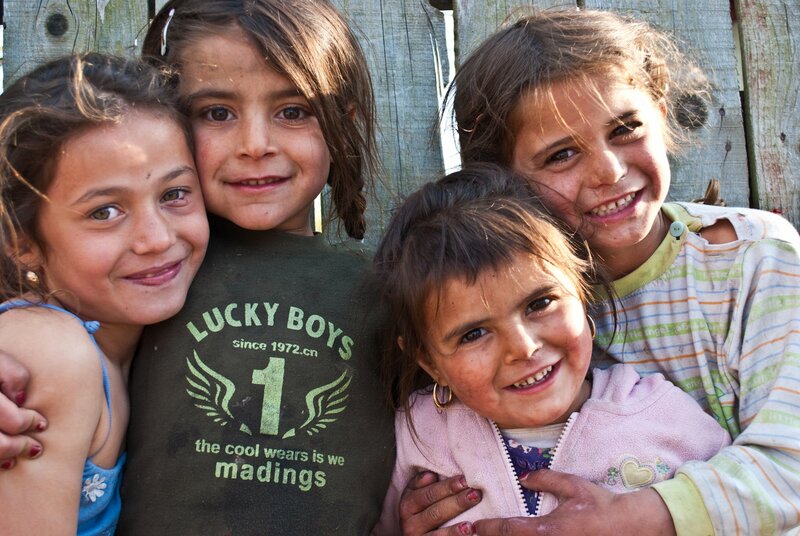 They will meet the orphan and gypsy children that I have been working with but we will also get to have a bit of a family vacation as well and see a bit more of Romania too while they are here. I’m really looking forward to all four of us being together here for the very first time! Costica happy to get food! 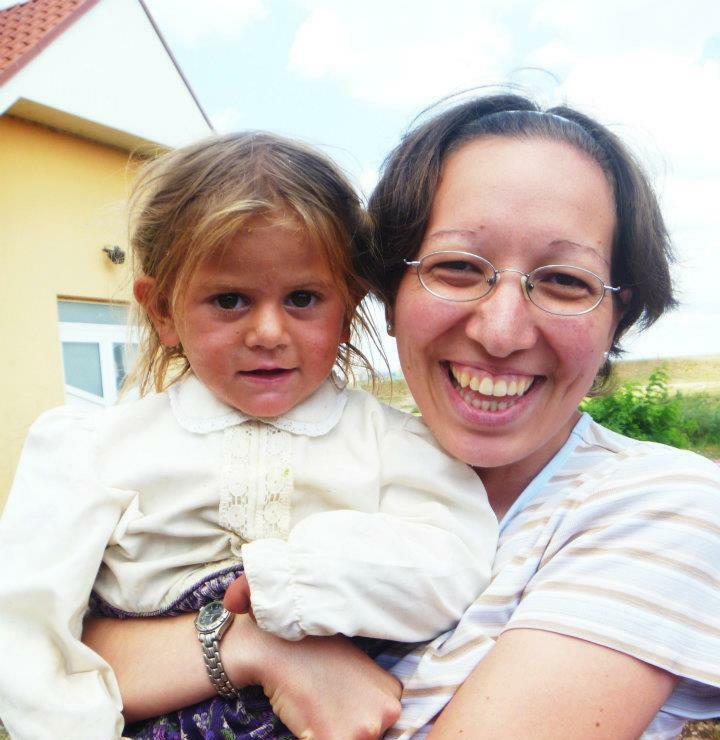 My Mom is coordinating two fundraising projects right now that we would like to do together as a family to bless the children and families at the Sabolciu gypsy village. The first project is to bless all 73 children and teens with gift bags and the other project is to bless all 42 families with food packages. 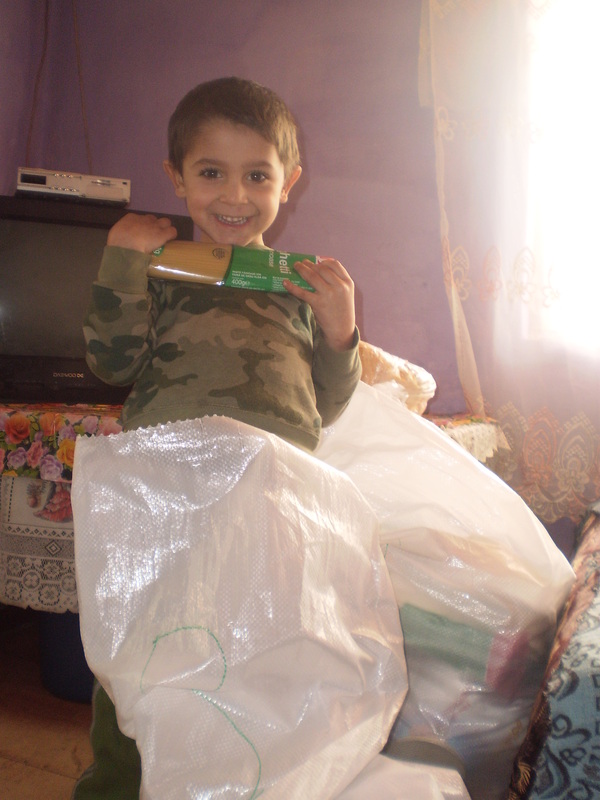 This is a very poor gypsy village and whenever they receive food packages they are very grateful. It is amazing how far simple things like cooking oil, flour, sugar, rice, cornmeal; etc goes for a large family of nine people! Did you know it only takes $800 to feed an entire small gypsy village of 147 people? In whatever way you are able to help with these two fundraising projects it will make a huge difference in the lives of these precious children and families! 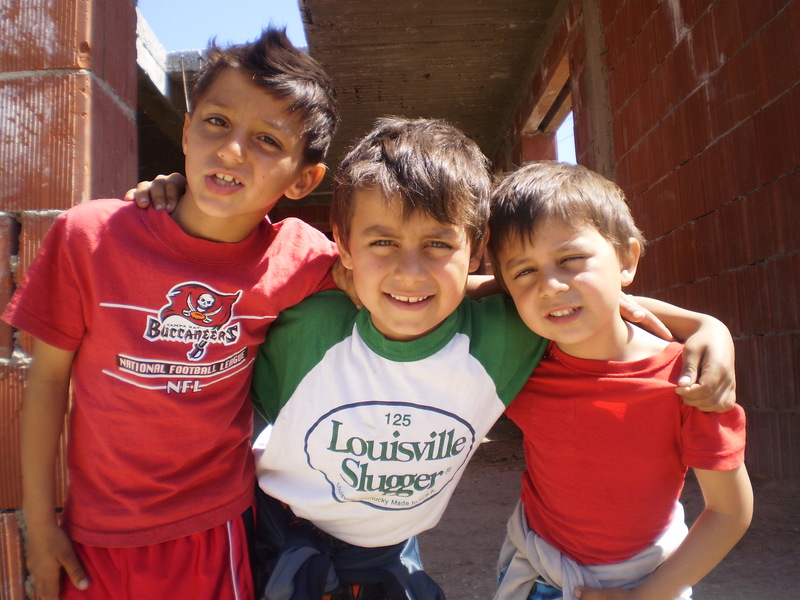 It is our heart’s desire to bless them with the love of Jesus in a very real and tangible way when we go there. We would also like to do a short program one time with the children and share the gospel through making the salvation bead bracelets as well. We would like to say thank-you from the bottom of all of our hearts for extending your hearts to these beautiful children and families at the Sabolciu gypsy village and being a part of this special outreach while we will be all together as a family here in Romania! May God pour His many blessings upon you! food packages are to be in no later than Sunday August 26th, 2012.